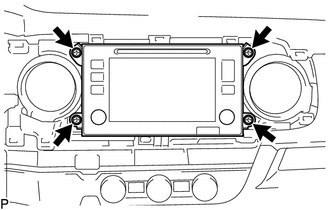 (b) Disconnect the connectors to remove the navigation receiver assembly with bracket. Remove the 5 bolts and No. 1 radio receiver bracket. Remove the 3 bolts and No. 1 radio receiver bracket. Remove the 5 bolts and No. 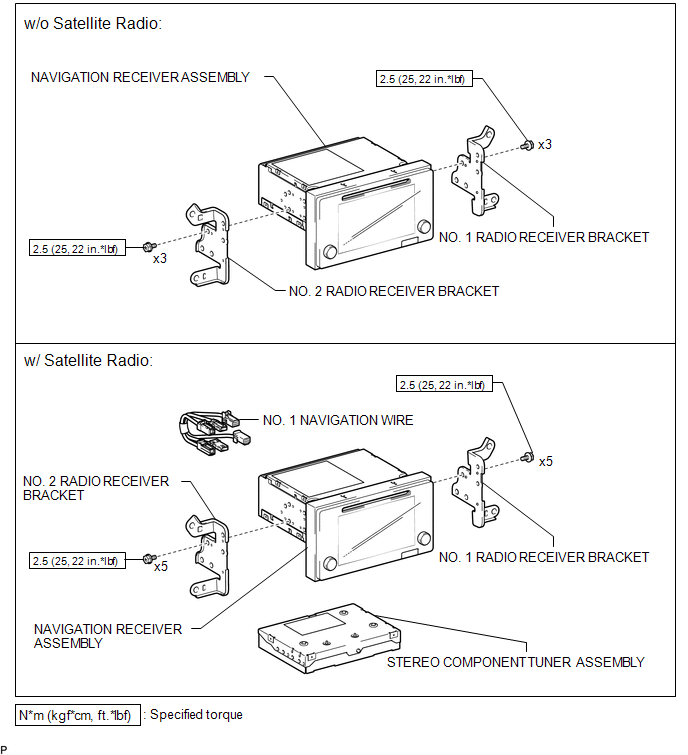 2 radio receiver bracket. Remove the 3 bolts and No. 2 radio receiver bracket. Install the No. 2 radio receiver bracket with the 3 bolts. Install the No. 2 radio receiver bracket with the 5 bolts. Install the No. 1 radio receiver bracket with the 3 bolts. Install the No. 1 radio receiver bracket with the 5 bolts. 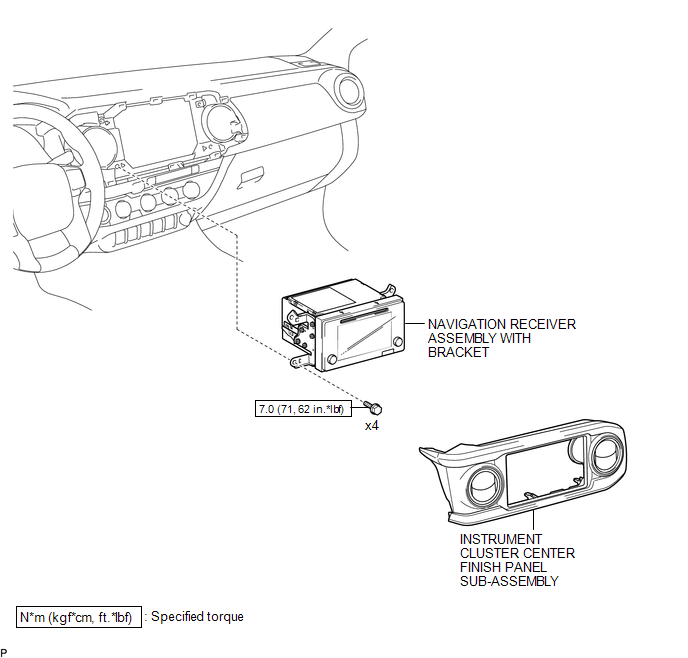 (b) Install the navigation receiver assembly with bracket with the 4 bolts.